Air dry your clothes naturally with Timbertrove's Eco Dryer and save on your expensive electricity bills. This very simple design allows fresh air to flow through the sidewalls while the roof protects your clothes from any heavy showers of rain. Constructed with heavy duty pressure treated timber, this shed has a smooth finish and is maintenance free. Standard colour is natural pressure treated timber. 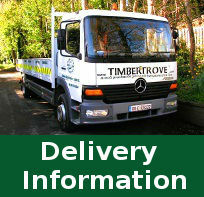 The unit is available either as a flat pack, or alternatively supply and fitted in your garden for your convenience.